Industry leader Aitken Spence Printing strengthened its community engagements by recently completely refurbishing the in-house printing facility of the Deaf & Blind School in Ratmalana while providing training and employment opportunities to its students. The school enabling care to over 400 students is now able to access the renovated printing facility that was in dilapidated condition. Two key printing machines SBD Cylinder machine and Auto Platen machine were completely overhauled while the floor of the facility was provided a complete facelift. Aitken Spence Printing further empowered the students by providing training opportunities on the latest printing technologies available and offering employment opportunity to one of its students. The management hopes to continue to recruit more students from the school in the near future. “We are delighted to be empowering the students of the Deaf & Blind School in Ratmalana. Aitken Spence Printing will continue to work on similar projects in the future. We thank Mr. Lucky Mendis, Director of Deaf and Blind School, Mr. Nirosh de Silva, Chairperson of the fund raising committee of the Deaf and Blind School and Mrs. Samanthika Jayasooriya, the Principal of Deaf School for giving us this opportunity to be a partner of such a valued CSR activity” noted Mr. Prasanna Karunatileka, the Managing Director of Aitken Spence Printing. With a heritage spanning over five decades, Aitken Spence Printing is known as an innovative quality printing and packaging solutions provider for prestigious international brands in fast moving consumer goods, tea, confectionary, cosmetics, pharmaceuticals and apparel industries locally and globally. It is also recognized as top quality printer for corporate reports, coffee-table books, magazines and other high-end publications. The Company has also been recognized by the Sri Lanka Association of Printers as “Sri Lanka’s Master Printer” for the year 2014 and 2015. Offering the region’s only LEED Gold certified and carbon neutral printing plant, Aitken Spence Printing’s ultra-modern printing plant is located just outside of Colombo. 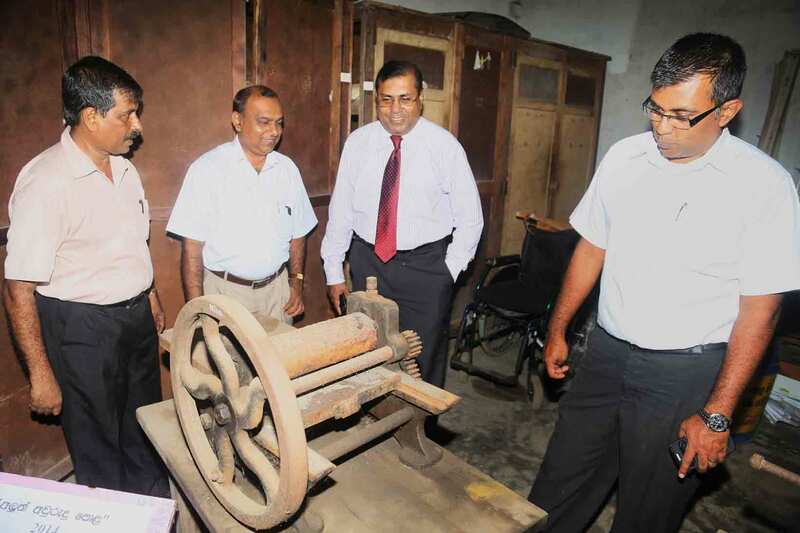 The printing facility of the Deaf & Blind School is one of the oldest printing schools in Sri Lanka. The effort and dedication of the maintenance team of Aitken Spence Printing contributed towards renovating the facility back to its old glory with a handing over ceremony taking place with the presence of the Managing Director of Aitken Spence Printing, Mr. Prasanna Karunatileka, the Management team of Aitken Spence Printing Mr. Lucky Mendis the Director of Deaf & Blind School and Mrs. Samanthika Jayasooriya Principal of the Deaf School. Industry leader Aitken Spence Printing’s state-of-the-art new printing facility was awarded the LEED (Gold) certification recently, making it the first in this region and the one of the very few of its kind the world to receive the international benchmark for leadership in energy and environmental design. The 77,000 sq. ft new facility spread over 3.4 acres on the outskirts of Colombo boasts many modern technological and sustainable features. The facility was awarded LEED-NC: GOLD Certification under the newly established campus category, by the U.S. Green Building Council. LEED-NC (campus) rating system is based on a 110 point system encompassing all areas of sustainable construction. Some of the measures which Aitken Spence Printing has implemented are: 70% saving on portable water, 22% saving on energy, use of daylight for 100% of all regularly occupied spaces, 90% of construction waste diverted from landfill, 40% of the material used for construction accounted for locally, and many other design and operational measures. With a heritage spanning over five decades, Aitken Spence is known as an innovative quality printing and packaging solutions provider for prestigious international brands in fast moving consumer goods, tea, confectionary, cosmetics, pharmaceuticals and apparel industries locally and globally. It is also recognized as top quality printer for corporate reports, coffee-table books, magazines and other high-end publications. 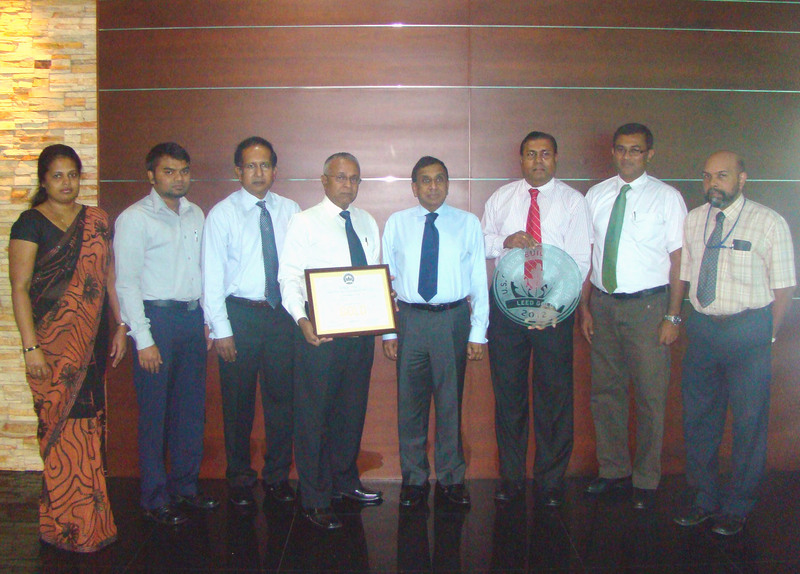 “The LEED certification is another groundbreaking milestone for Aitken Spence Printing. Over the years, we have been able to offer many innovative solutions to our partners. Benchmarking our new printing facility on international green building standards, provide our partners with an enhanced environmentally friendly value addition”, said Prasanna Karunathilake, Managing Director of Aitken Spence Printing. The LEED for New Construction (LEED-NC) Green Building Rating System provides guidance on implementing sustainability for new buildings and third party verification of the level of sustainability achieved. All LEED rating systems are voluntary, consensus-based national standards for high- performance, sustainable buildings. The LEED rating systems are a USGBC-sponsored program to encourage building owners to make their buildings sustainable and to maintain and improve sustainable practices over time. USGBC is the USA’s leading coalition of corporations, builders, universities, government agencies and non-profit organizations working together to promote buildings that are environmentally responsible, profitable and healthy places to live and work. 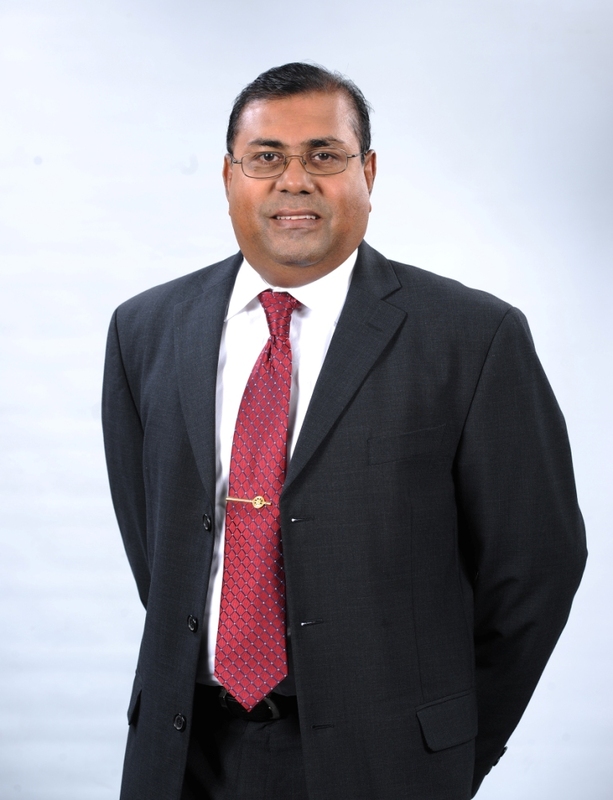 Aitken Spence Deputy Chairman and Managing Director – Mr.J.M.S. Brito, Aitken Spence Printing Managing Director – Mr. P. Karunathilake, Aitken Spence Power Managing Director, Mr. D.de Mel and Officials From Aitken Spence Printing receiving LEED accreditation from the certifying officials. Aitken Spence appointed Mr. Prasanna Karunathilake to its Management Board with effect from September 2012. An industry veteran, Mr. Karunathilake is the Managing Director of Aitken Spence Printing, a market leader in Sri Lanka. Prasanna Karunathilake joined the then Printing Department of Aitken Spence & Co. Ltd., as a Trainee Production Executive in 1980 after completing his primary education at Dharmarajah College, Kandy. Whilst at Aitken Spence he pursued his higher studies in Printing, and obtained his Diploma in Printing Technology and Management at the prestigious Sri Lanka Institute of Printing, and is today a fellow of the Institute. On completion of his Diploma, he was promoted as Senior Executive and in the year 1988 as Production Manager. Mr. Karunathilake continued to serve the industry in a senior managerial capacity for a period of 17 years. During which time he underwent advanced training in Printing Technology & Didactics at the INGRIN Institute in the Netherlands. In 2010, he rejoined Aitken Spence as the Managing Director of Aitken Spence Printing (Pvt) Ltd.
Prasanna Karunathilake is a Director as well as a lecturer at the INGRIN Institute of Printing & Graphics Sri Lanka. He is also serves the industry as a lecturer at the Sri Lanka Institute of Printing. He currently serves the Export Development Board in the capacity of adviser for the Printing and Packaging Industry in Sri Lanka, and is also an advisor on the Wages Board for the Printing Trade. 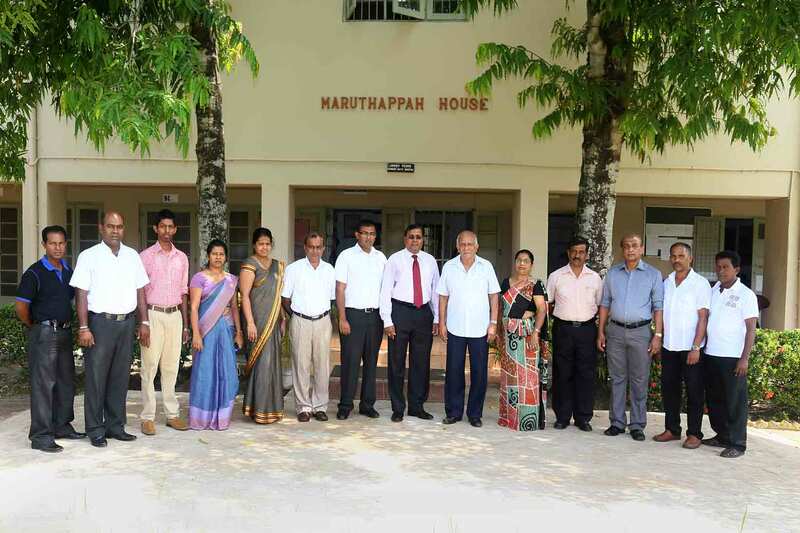 The Aitken Spence Group Ltd board (Management Board) consists of: J M S Brito, (Dr) R M Fernando, G M Perera, (Dr) P Dissanayake, R E V Casie Chetty, K R T Peiris, (Ms) N Sivapragasam, D V H De Mel, S M Hapugoda, (Ms) N W de A Guneratne, C M S Jayawickrema, R G Pandithakorralage, D S Mendis, V M Gunatilleka and P Karunathilake. Aitken Spence Printing ceremoniously opened Sri Lanka’s first world-class printing facility with unrivalled technological and green credentials. At a glittering event on Friday, many of Sri Lanka’s corporate leaders witnessed the preferred printing and packaging services provider’s unveiling of the state-of-the-art facility. Equipped with the region’s first LEED (Gold) certified and carbon neutral printing complex and a reputation for quality and reliability that spans over five-decades, Aitken Spence Printing is confident that Sri Lanka need not look beyond its shores for world-class printing and packaging solutions. “With our enhanced positioning, in addition to offering businesses in Sri Lanka printing and packaging solution that are globally comparable, we are confident that we will be able to considerably increase our exports to our key markets in Europe and Australia as well as enter new markets in the Middle East and Africa”, said Mr. Prasanna Karunathilake, Managing Director of Aitken Spence Printing. The company is known as an innovative quality printing and packaging solutions provider for prestigious international brands in Fast Moving Consumer Goods (FMCG), tea, confectionary, cosmetics, pharmaceuticals and apparel industries locally and globally. It also recognized as the best printer for corporate reports, coffee-table books, magazines and other high-end publications. Aitken Spence Printing’s new plant outside of Colombo boasts of being located in 3.5 acres of land and is a 100,000 square foot facility, incorporating all architectural and design elements to make it an environmentally friendly complex. It will comprise of three blocks which encompass the printing facility, stores complex and the facility block. Many sustainable initiatives such as rain water harvesting, recycling 40% of its raw materials, daylight harvesting, maximum savings on energy which are already in practice at the Company. Some initiatives include the internal pathways made to reduce temperature and improvement in water retention, while an effluent treatment plant will treat waste water so that no toxic materials are discharged by the plant. While the initiative to move with expanding its printing facility was a result of strong demand, it was also in recognition to follow the ethos that the Parent company functions– in being a responsible and sustainably conscious business. 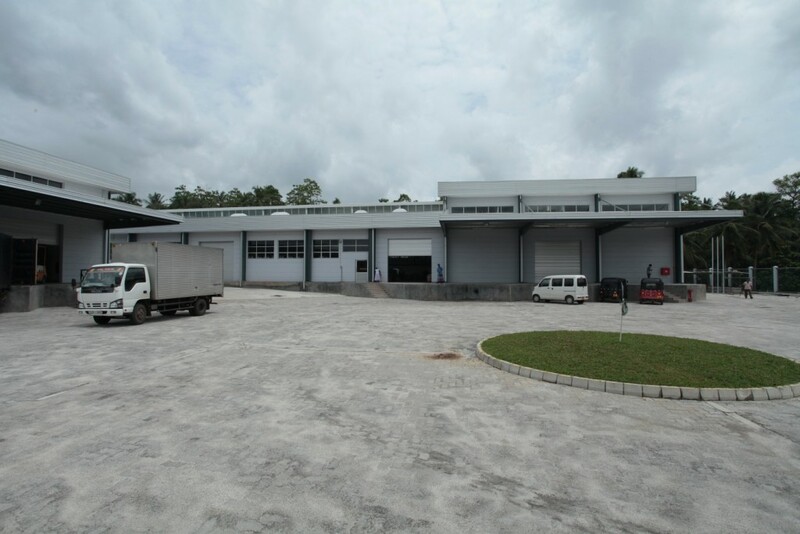 The new facility does not just boast of its green initiative as a value addition that sets the company apart from others in the industry, it has also invested in the latest printing and packaging technology. A Hiedelberg six colour plus coater and verimetrix foil stamp machine plus dye cutting machine, a UV varnishing/water based varnishing machine and a Horizon binding line will augment the existing technology to provide world class finished products. Whilst assuring world class quality printing and packaging services to discerning clientele, Aitken Spence Printing will be adding value to their services in numerous ways, with the launch of its complex. Geared towards seizing new opportunities and leveraging them to accepting new markets from across the globe, the Company is excited about their future prospects. Because of its long history and heritage of sustaining in the industry since 1955, the Company is known as a training ground for many aspiring printers. With talent and wealth of experience the current dedicated skilled technicians has contributed unconditionally to the betterment of the organization and for its achievements while moving the Company to transcend beyond its time and market.